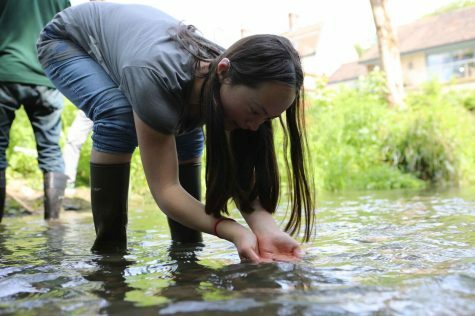 The health of our rivers lies in the hands of the communities around them, which is why it is so important to educate people about the river environment and what they can do to improve it. We also focus on engaging young people and children with rivers to inspire the next generation of conservationists! 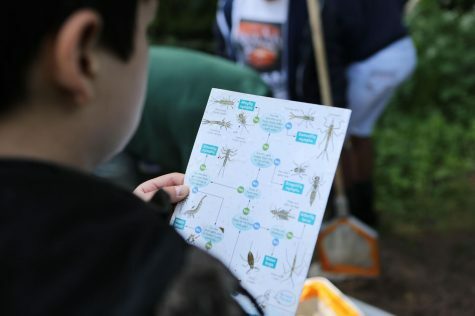 To do this we work with schools and community groups to develop educational activities, from running practical river dipping sessions to giving talks and delivering river monitoring training sessions. Calling all Secondary school teachers in the Bristol area! Bristol Avon Rivers Trust are offering an exciting opportunity to become a member of a steering and development group for our new GIS Geography education project. Since the introduction of GIS to the curriculum, a lack of CPD opportunities for teachers to learn how to use it has become a barrier to its use in the classroom. BART will be developing this GIS project to provide an outstanding, locally focused and cross specification teaching package aimed at KS3-5 pupils and teachers. GIS is an essential tool to many industries including urban planning, government, business and marketing. Its importance in everyday life is growing as human pressures on the environment increase with growing populations. 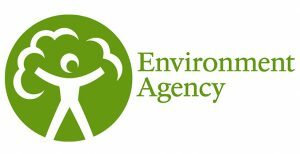 As outdoor education and engagement with the natural environment is reduced with health and safety restrictions, GIS represents a crucial way for teachers to educate young people on the water cycle and land and river management, and we are in an exciting and privileged position to develop this opportunity. We will be developing this GIS package through a teacher liaison panel to co-design the programmes of study. Contributing teachers can expect to benefit from this unrivalled CPD opportunity by becoming fully trained in using GIS and delivery of the programmes of study. This will enable you to return to your school as a GIS teacher specialist, allowing you to lead the delivery of GIS training and teaching in your own school. This is a free opportunity and travel expenses will be covered. 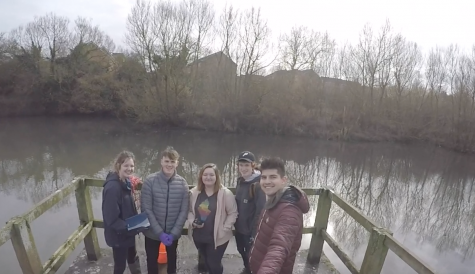 The project aims to teach competent transferable GIS skills whilst developing pupils understanding of some of the many locally important physical and human geographical features in the Avon catchment. Contributing teachers will need to be able to commit to attending a 3 after-school training sessions in Bristol. Now we’ve had time to sit back and reflect on another year of our Eel in the Classroom project, we would like to share with you our progress in 2018. We are really pleased to say that our project has been hugely successful to date and as a result it is growing every year. This year, we were able to run the project with a huge 12 schools – no easy feat for a small charity, with tank sourcing and set ups, eel deliveries, weekly check-ups, visits for technical issues, tank cleaning, extra lessons and release events! We were also really pleased to deliver the project with both secondary schools and a special needs school for the first time, which shows how valuable this project is to any age range. We’ve now had wonderful feedback from 4-16 years old! We are so grateful to our funders, the Greggs Foundation, who funded 9 schools, and Avon Frome Partnership who funded a further 3 and finally to Bristol Water who provided our eels and some tank equipment. 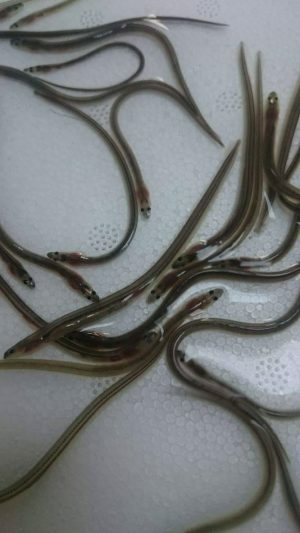 The eels were donated by UK Glass Eels after being caught by elver fisherman on the River Severn, after which approximately 50 eels were given to each primary school. 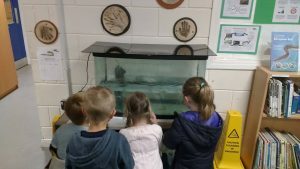 After 5 weeks of feeding the eels every day, learning about their life history, and in some cases even naming the eels, it was time to release them back into rivers to begin the next stage of their lives. 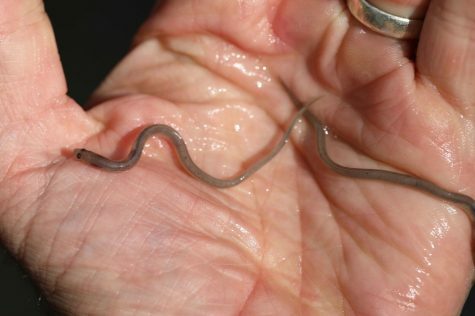 The eels can spend up to around 60 years in the headwaters of rivers, in small tributaries, ditches and streams before they make the epic 5000km migration back to where they were born in the Sargasso Sea to spawn. BART also ran a series of extra lessons throughout the project including river dipping (getting the children in their river, often for the first time), water pollution and food webs. All of the schools released their eels into their local river and received certificates and trophies to thank them for looking after their elvers so well. We’ve been promised that they will go back and look for their eels whenever they can! We are already looking for funding to deliver this project in 2019. Please get in touch if you are a business or individual who would like to sponsor a tank in a school near you! Similarly, if your school is interested in getting involved in this project next year then please get in touch with harriet@bristolavonriverstrust.org to be added to the waiting list. Thank you and we are looking forward to seeing your results! Eels return to a classroom near you in 2018! BART are happy to announce that in spring 2018 we will be running our incredibly popular Eel in the Classroom project, thanks to funding from the Greggs Foundation! The Greggs Foundation is the charitable arm of Greggs, with funding from the 2015 charge for single-use plastic carrier bags. Before the charge over 7.6 billion single-use plastic bags were given to customers by major supermarkets in England alone! The Greggs Foundation have donated proceeds from the charge to support environmental education projects for local communities in and around rivers, across Wales, Scotland and England. 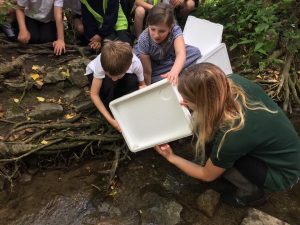 We will be working with schools across the Bristol Avon catchment, bringing the endangered European Eel to classrooms where children will spend a term looking after and learning about these fascinating creatures and the challenges they face. At the end of the school term the children say goodbye to the eels as they release them back into the river! Our 2017 Eel in the Classroom project was incredibly popular with 6 schools involved across Bristol, Wiltshire and Somerset. In 2018 we are going to have 13 schools taking part, allowing more children to get up close and personal with these amazing animals! A huge thank you to the Greggs Foundation who have made the 2018 Eel in the Classroom Project possible! 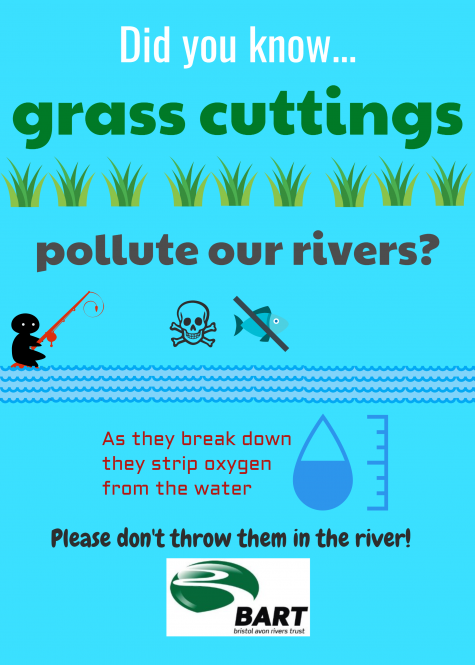 If your school is interested in taking part then please get in touch with harriet@bristolavonriverstrust.org.